The activists projected the names of the killed and missing in the Crimea during the Russian occupation on the walls of the Russian embassy in Kyiv. The action was organized by Crimean activists, following the example of the United States, where such an installation was made at the Russian Embassy in New York. 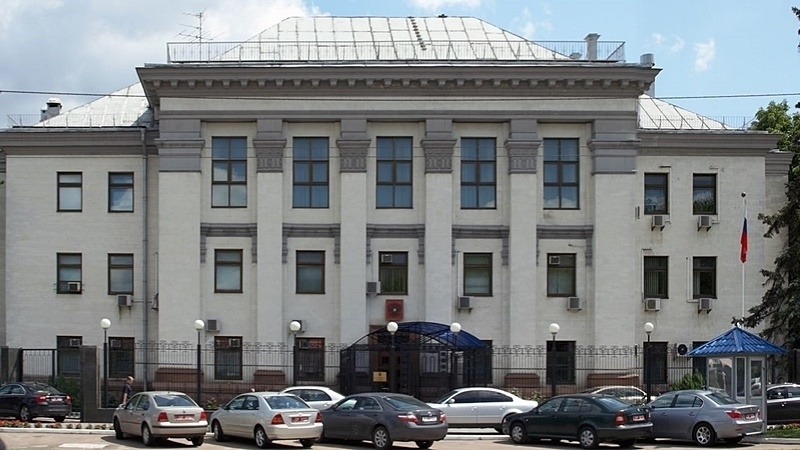 Earlier, on March 18, on the day of the election of the Russian president, the building of the Russian Embassy in Kyiv was heavily guarded by the police. The police partially restricted traffic on the Vozduhoflotsky Avenue. The road was blocked with metal and wooden fences. Reference: Russia treacherously attacked the sovereign Ukrainian state in 2014. The Russians, conducted an illegal "referendum" in the Crimea at gunpoint, “receiving” 120% support for annexation, and then they attempted to seize the rest of Ukraine taking advantage of the chaos of the "Russian spring", but were stopped in the Donbas by the strength of volunteers who, with the support of the Ukrainian people, took a stand to defend the country. Now the Russian Federation is trying to keep the occupied Crimea and part of the Donbas under its influence through terror and intimidation. Because of the annexation of the Crimea, the Russian Federation was expelled from the G-8, PACE and made an outcast country.